This is a slightly strange one… Blame it on last week’s illness if you like (I’m in need of an excuse) but, earlier this week, I set off for the Design Museum, excited to see their Louboutin exhibition. I had been disappointed that it was scheduled to open on 28th March, while I was on holiday, and I therefore assumed that I’d missed all the press hype and a visit was overdue. 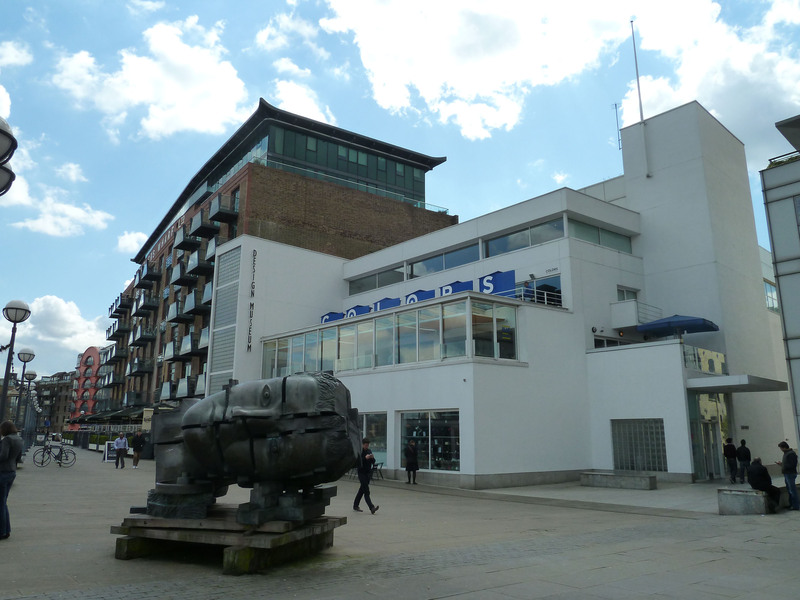 The Design Museum. Own photograph. 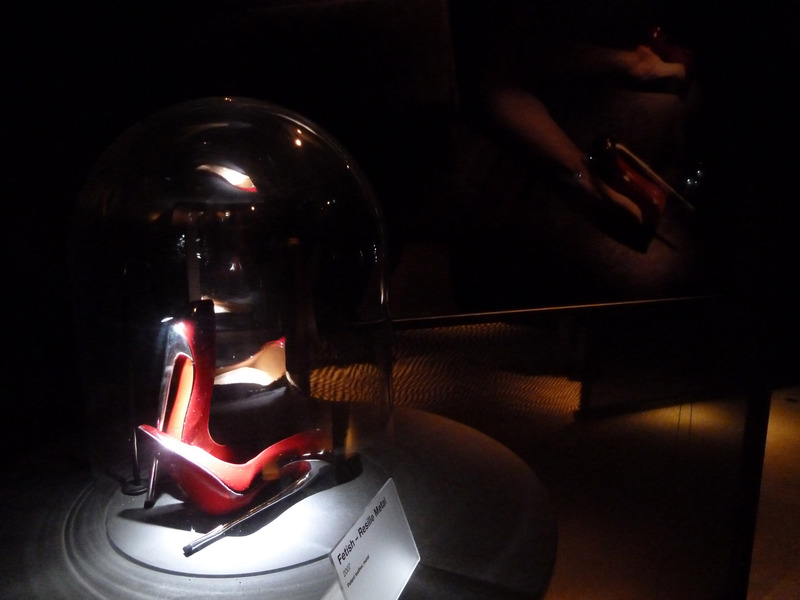 So, as I sat in the taxi from London Bridge station down to Shad Thames and loaded the Design Musuem website, imagine my surprise to see a picture of a gorgeous Louboutin shoe in the section for forthcoming exhibitions. It would seem that the dates have changed and it’s now not opening until the 1st May. Great! As beautiful as it is to come to this part of London I didn’t really need to trek down the Thames to the Design Museum but, having done so, I thought I might as well see what was going on. 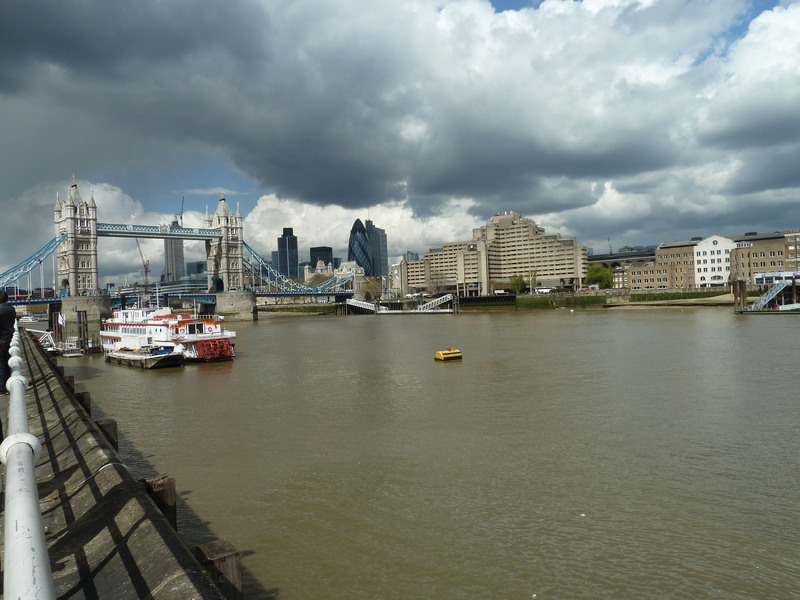 The River Thames by the Design Museum. Own photograph. 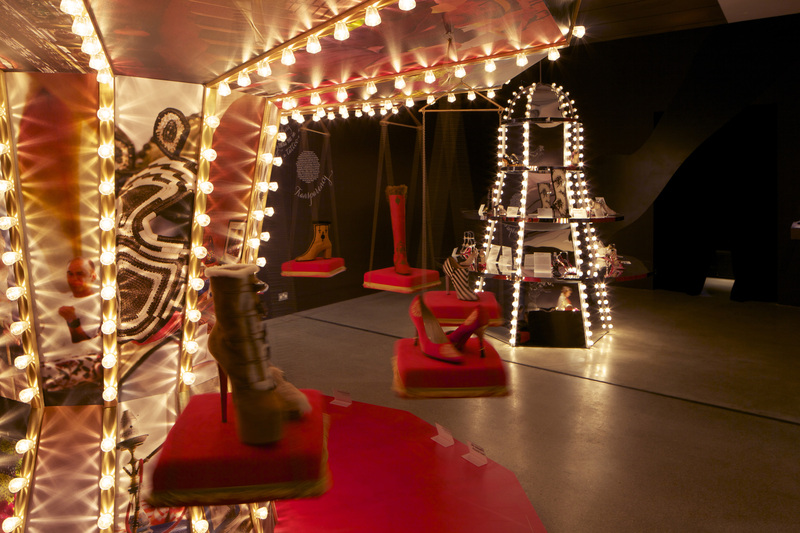 The Design Awards are celebrating their 5th anniversary this year. 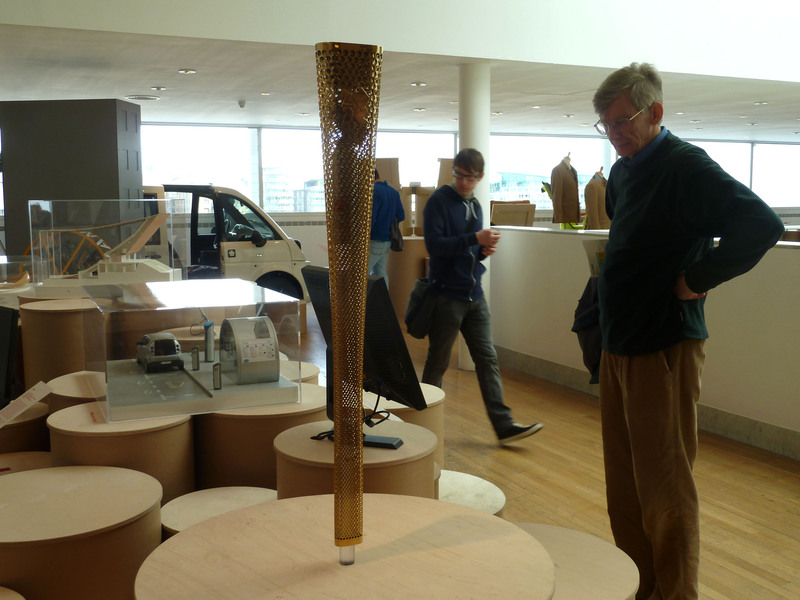 Currently on show at the Design Museum is the longlist including The London 2012 Olympic Torch, the Duchess of Cambridge’s Wedding Dress, designed by Sarah Burton for Alexander McQueen, and the London 2012 Velodrome. 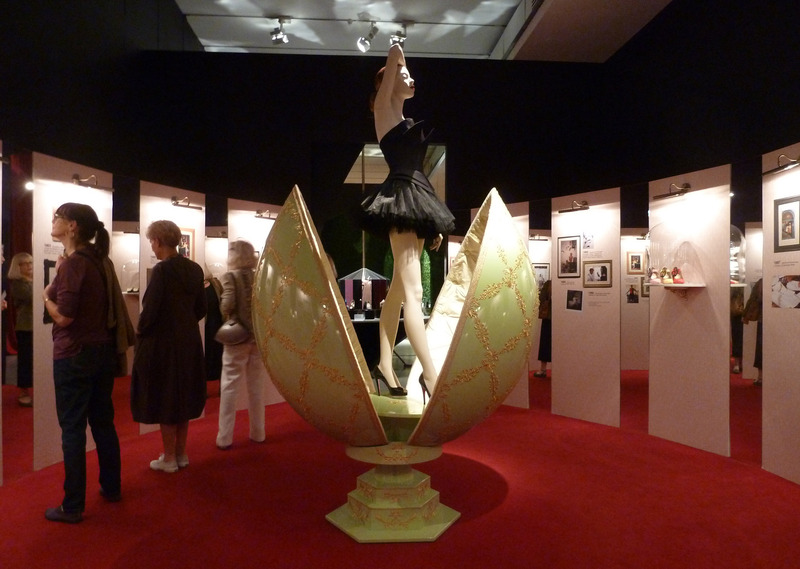 These are not designs to be taken lightly, with the exhibition including some of the big hitters from the worlds of architecture, digital, fashion, furniture, graphics, product and transport design. The awards aim to be as wide-ranging as possible and the exhibition certainly shows off the diversity of design and the all-encompassing bracket of this term. Many of the designs here have a conscience and seek to address vital needs. Designs of the Year. Image courtesy of Luke Hayes and via www.designmuseum.org. The objects’ explanation panels help understand the motivation behind their creation and many of these deserve attention. 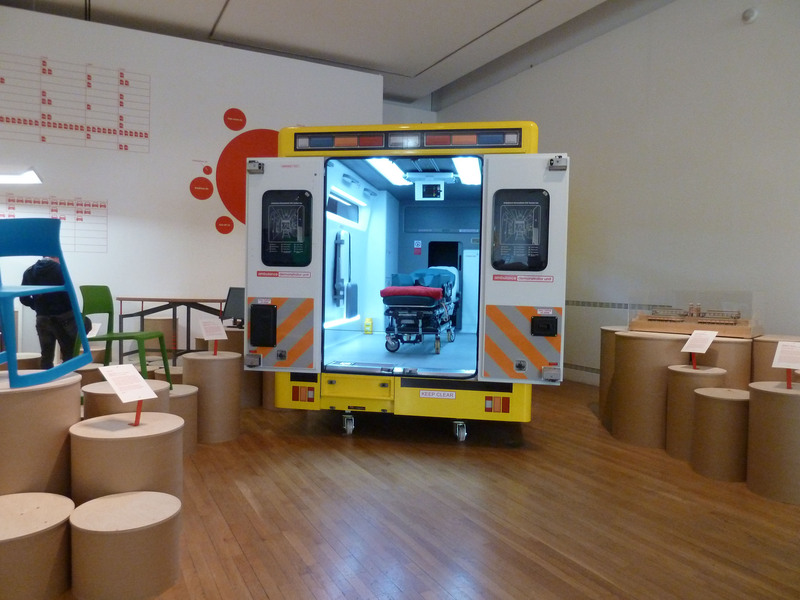 One work that caught my eye was the redesign for the ambulance by the Helen Hamlyn Centre at the Royal College of Art. Their innovative new system enables a stretcher to be accessed from all sides and includes a digital communications and monitoring system that can send information ahead to the hospital. The new ambulance is more efficient with a cleaner finish; it resembles a mini-hospital rather than the interior of a vehicle. 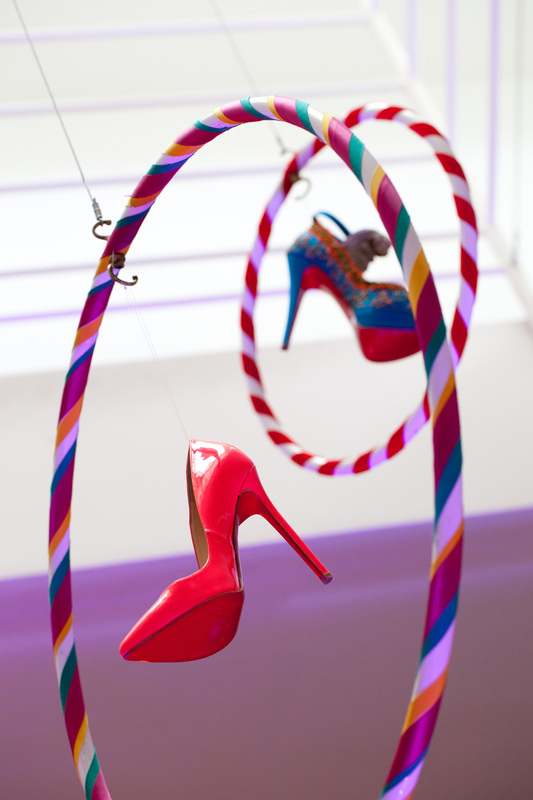 Thisotropes by Conny Freyer, Sebastien Noel and Eva Rucki of Troika was commissioned by Selfridges. It is a light sculpture formed of eight mechanised structures, each of which consists of a series of intersecting geometric profiles. It’s a dizzying combination of science, technology and art which come together to create a beautiful and mesmerising moving chandelier. Also included is the 2012 Olympic Torch that will be used to carry the Olympic flame this July. The piece has been designed to reflect the celebratory nature of the games; the body is made of aluminium alloy skins, held in place by a cast aluminium top and base. The skin is perforated by 8,000 circular holes – one to represent every torch carrier. As well as creating visual lightness, the holes enhance the piece on a practical level by significantly reducing its weight. It is not only practical but deeply symbolic and very British. 2012 Olympic Torch. Own photograph. Even The Hepworth Wakefield is included in these awards; when I visited last September I was struck by the confidence and power of the building. 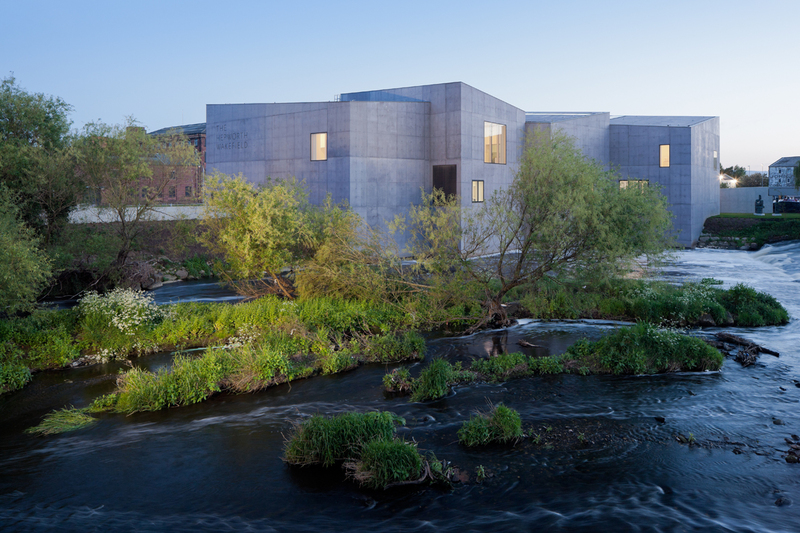 Designed by David Chipperfield Architects, The Hepworth is very exposed and isolated; it rises from the River Calder, like an old mill or Venetian palazzo. Made from warm grey concrete, the building consists of ten geometric forms that can be viewed from all aspects. 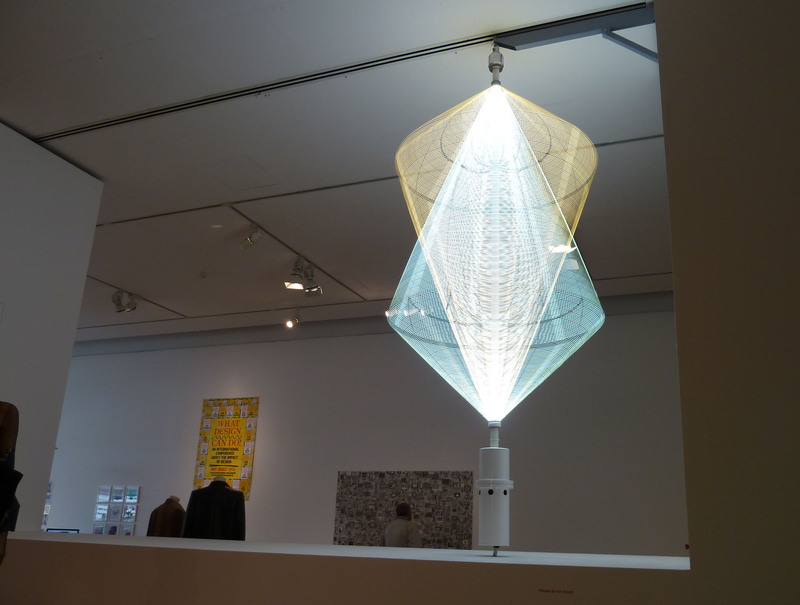 The Hepworth is a strong, yet sensitive, design far removed from the ubiquitous sterile, white-box gallery space. 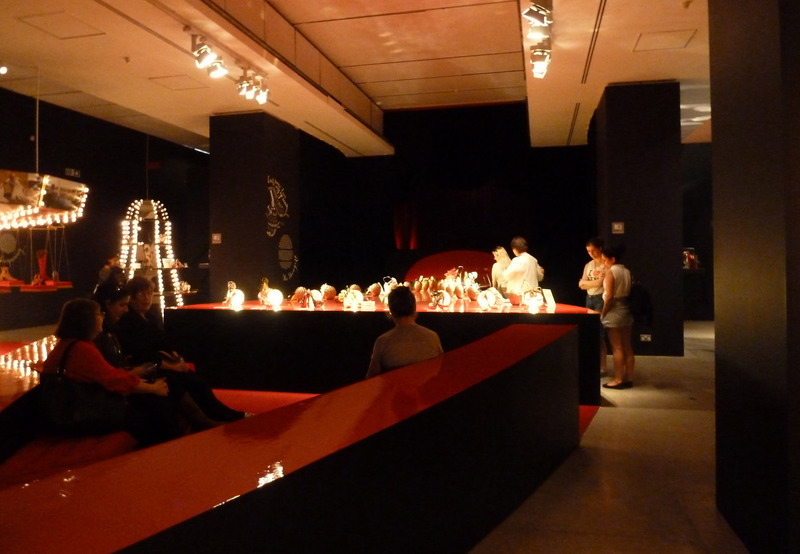 Although it includes some ingenious pieces of design, I found the exhibition to be messy; it appears cluttered and unforgiving to the objects on display. 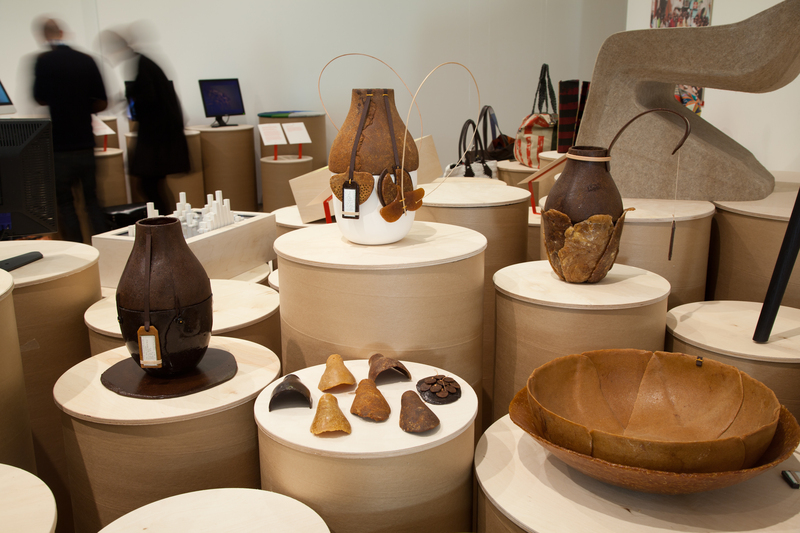 The works are displayed on cylindrical drums that create an overload of ‘stuff’. 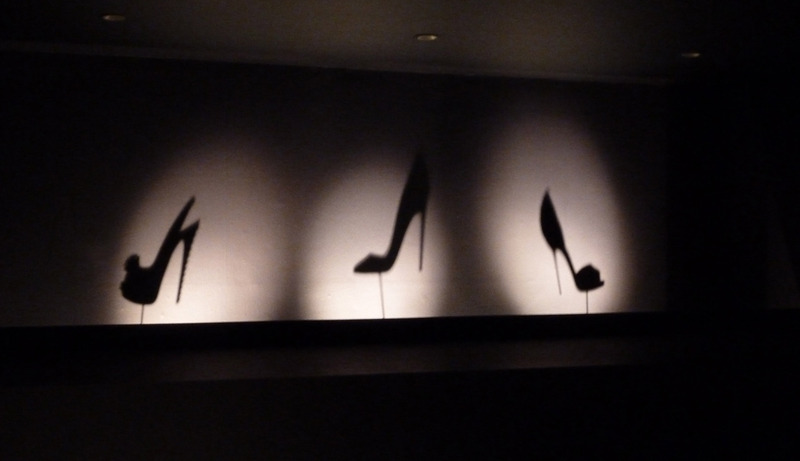 I was surprised by the lack of finesse and interior design here – quite ironic for a museum of design. 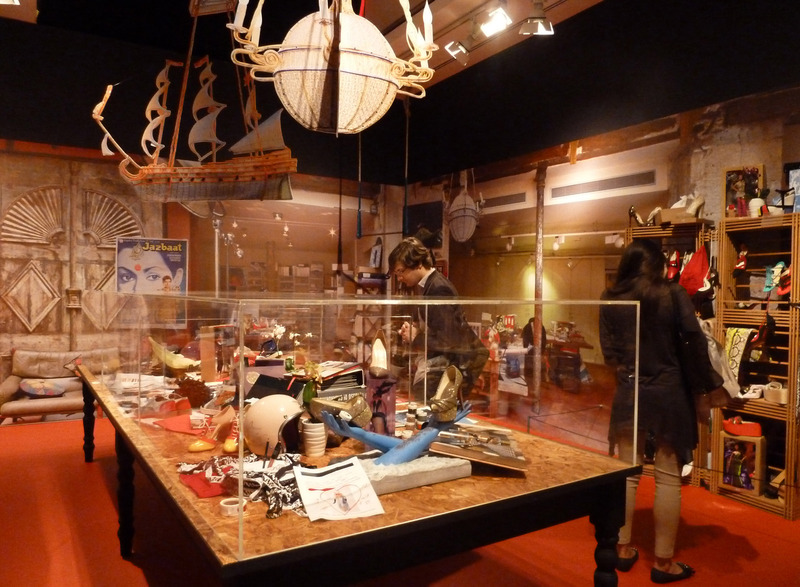 Clutter at Designs of the Year 2012. Own photograph. 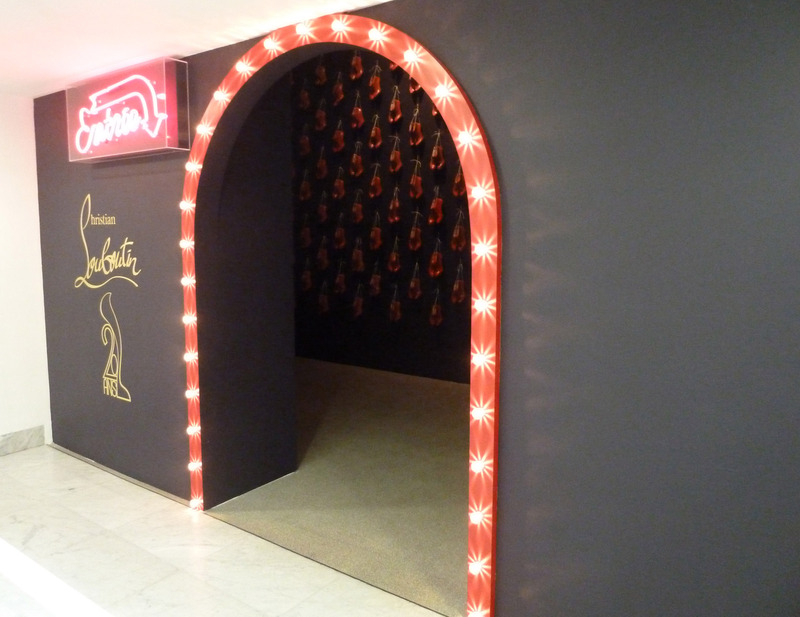 Notwithstanding this, I will, of course, be back in May for the Louboutin exhibition – unless the dates change again! 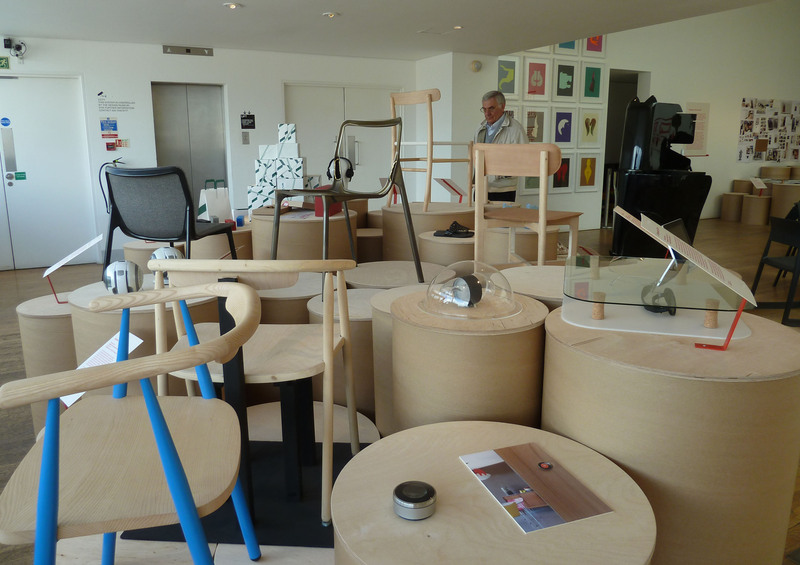 Designs of the Year 2012 is at the Design Museum until 4th July 2012, www.designmuseum.org. The winners of the seven categories and the overall winner will be announced on 24th April 2012.